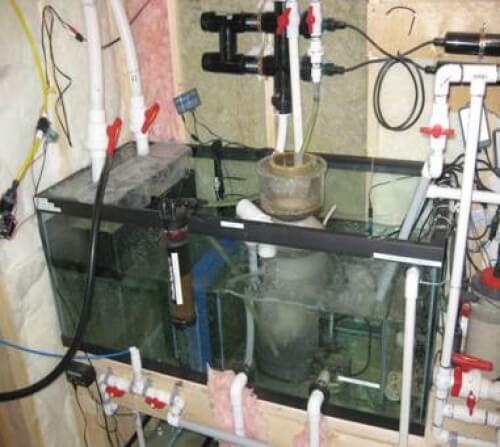 A See-through wall marine aquarium incorporated into a partition wall. 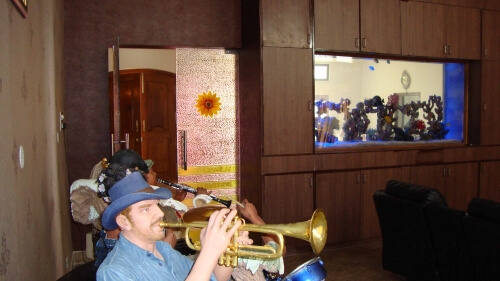 A simple solution to define an area without conflicting against the spaciousness of an open plan office space. 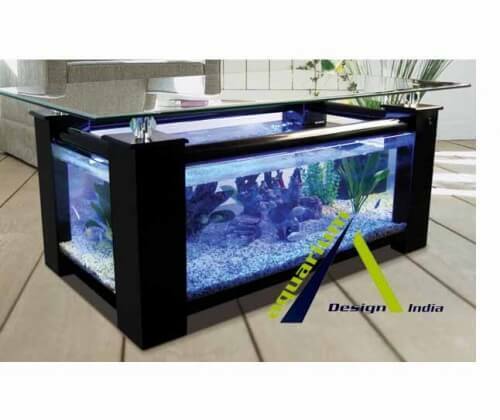 A relaxation zone of white serenity is further enhanced with the addition of two blue lit room divider tanks flanking its entrance. 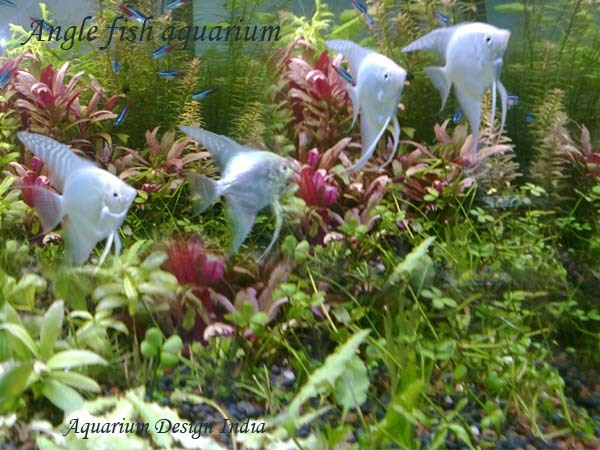 The mirrored back aquariums set the mood by maximising on the calming influence that an aquarium provides its on lookers. 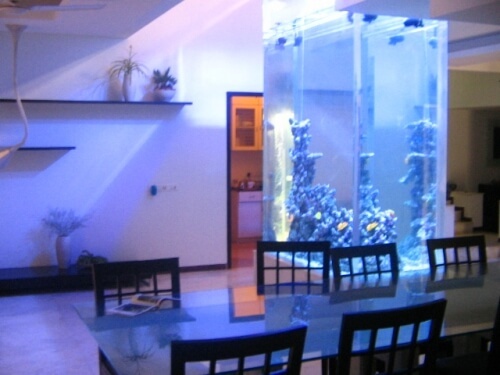 Think of an aquarium in your home as a piece of art. 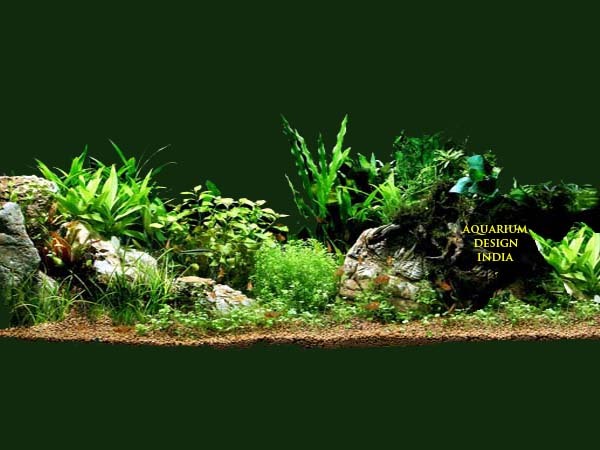 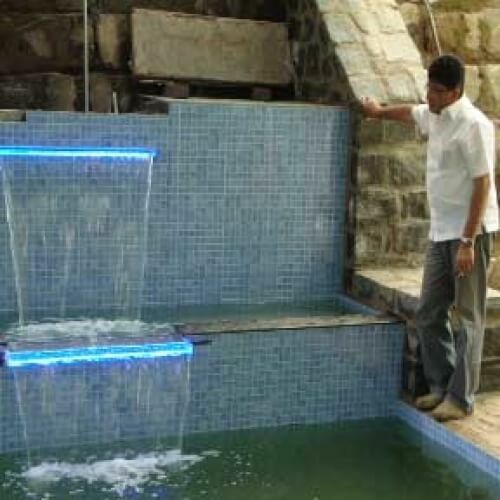 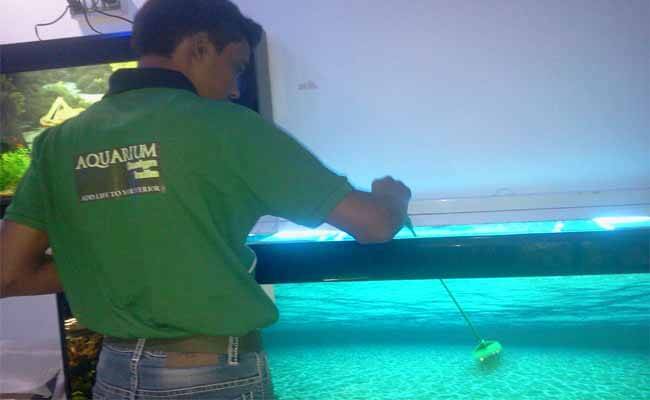 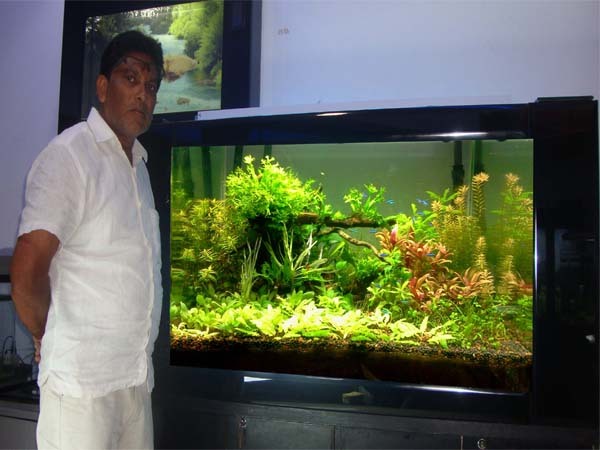 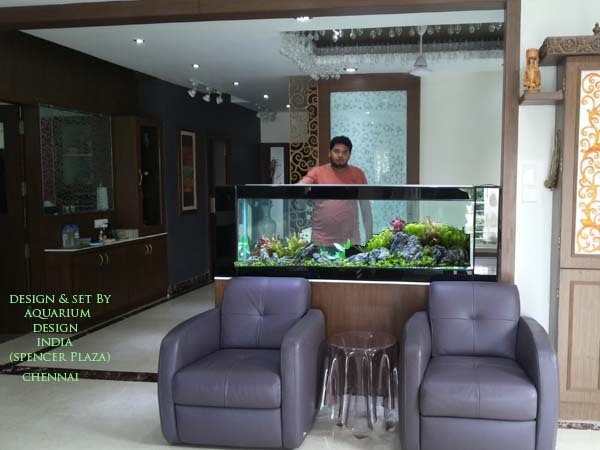 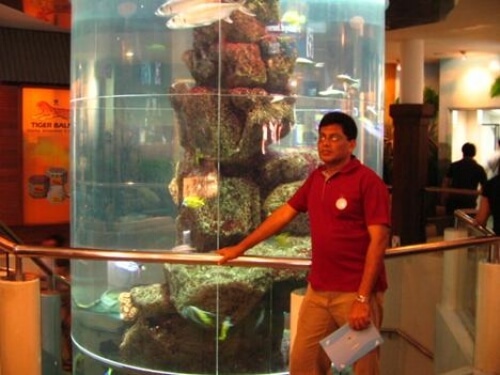 That's what an aquarium built by Aquarium design India is. 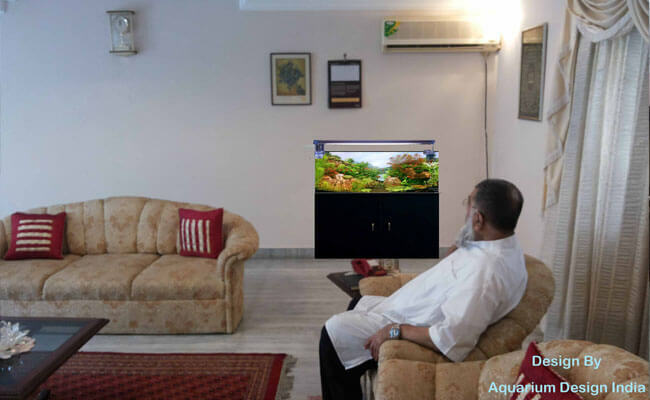 Everyone who visits you will want to spend time in front of your aquarium. 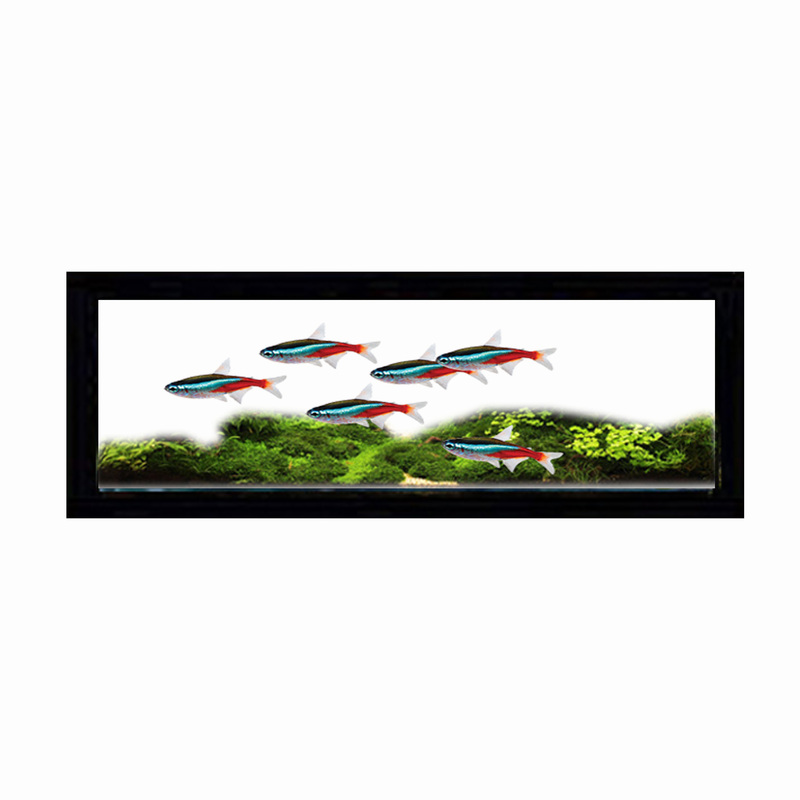 It will be the focal point of the entire house. 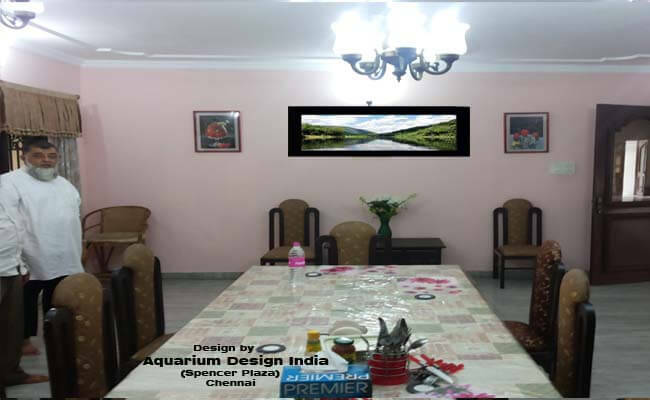 It will be a source of conversation and enjoyment for all of those friends, relatives, or clients who come over to visit. 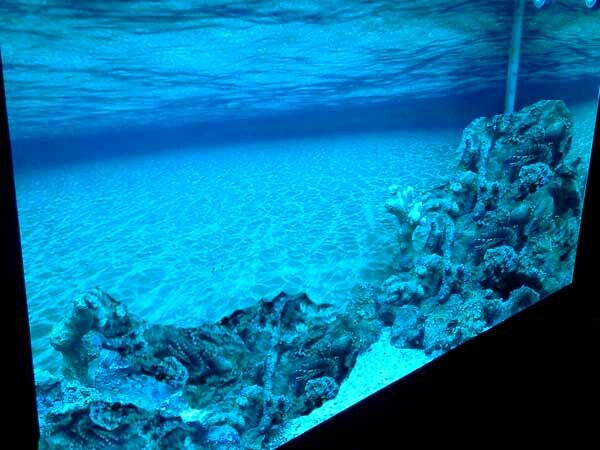 A painting or sculpture can be beautiful, but not interactive. 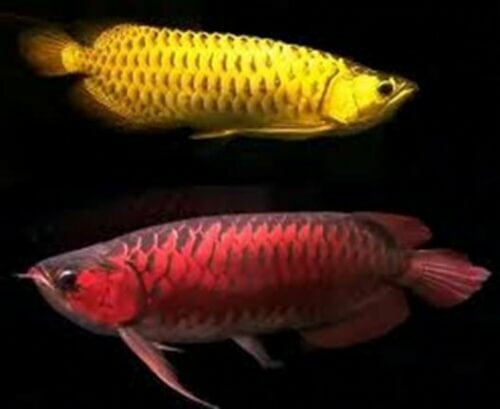 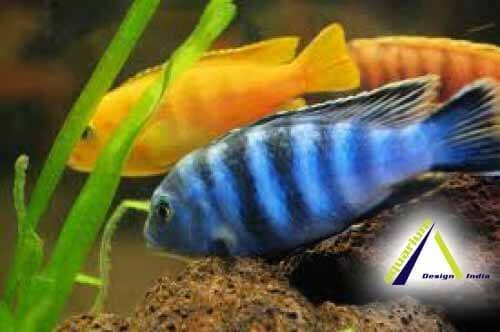 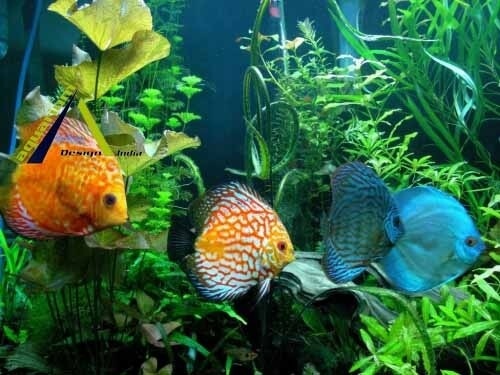 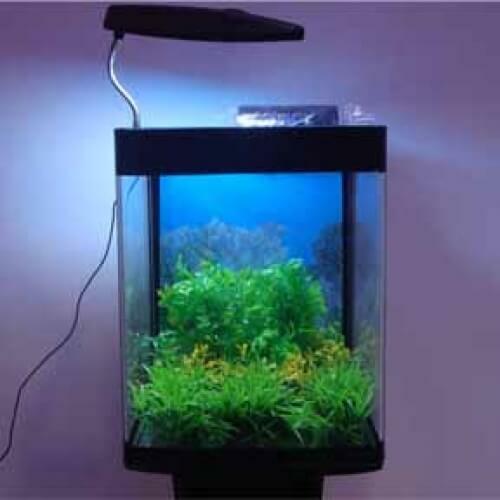 With an aquarium you get living, changing, active fish that you select to fit your environment. 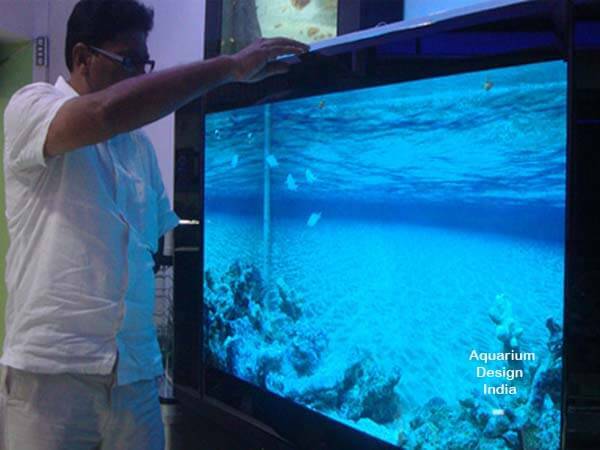 With an aquarium "You" select the colors and theme that "You" want. 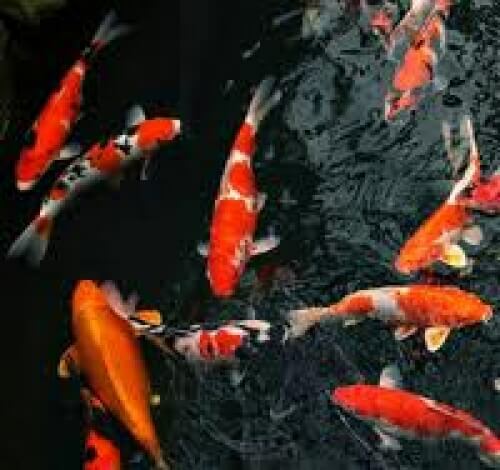 Its your home and your art.